CATS Optometrist - opticians in Middlewich > The CATS Blog > News > Tired of wearing your glasses? Acuvue Moist Multifocal contact lenses could be the ones for you! If you’re finding it difficult to focus on things up close or stretching your arm to read the menu, it could be Presbyopia. It is a normal change as the lens within the eye begins to lose flexibility. This happens to almost everyone in their forties. 1-DAY ACUVUE® MOIST MULTIFOCAL Contact Lenses are designed to give you clear vision, regardless of distance or light conditions. Extra rich in moisture, they’re comfortable enough to wear all day long with the convenience of a daily disposable lens. Cleverly allowing for different prescriptions to be included, you’ll see clearly whether you’re reading close-up or admiring a view. They’re a great alternative to varifocal spectacles. There’s no need to be apprehensive if you’ve never worn lenses before. With a little practice, our tips and your optician’s help, you’ll quickly become a natural at putting them on. 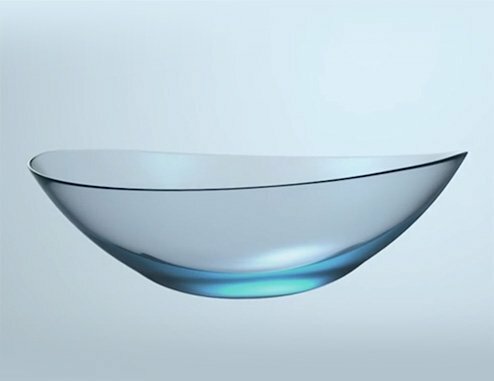 If you’ve been wearing lenses for a while, it’s likely you’ll enjoy a seamless transition to our multifocal lenses. They’ll feel just the same as — or even better than — your current ones.